What do you expect out of a home appliances repair in Oshawa? Chances are you expect speedy service, quality work, and budget-friendly rates. 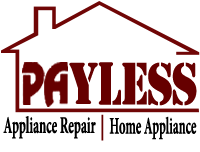 Fortunately for you, we offer all of that and more for our residential customers in Oshawa, Ontario. Our mobile capabilities allow us to respond very quickly to any home in the area to provide exceptional appliances repair service. Although we are devoted to keeping rates low, our main objective is to administer quality service through a fast and friendly process. When we say we offer home appliance repair on all appliances, we mean it. 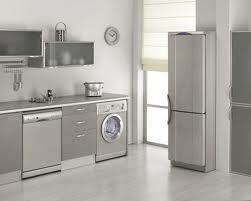 We offer outstanding dishwasher and fridge repair service. There is not a residential appliance brand we cannot fix. Our friendly technicians are qualified to service microwaves, garbage disposals, freezers, and stoves. However, our expertise does not stop in the kitchen. We also administer impeccable washer and dryer repair as well. You can count on our appliance service technician to always come to the job properly prepared to complete the task in a professional manner. We bring a great deal of experience, knowledge, and specialized training to every project. These are important traits that cannot be ignored, but we believe that commitment and the right attitude is just as essential in the long run. The bottom line is we really care about appliances repair. Our appliance service is guaranteed to leave you completely satisfied and to inspire you to use our services again when the need arises. At Appliance Repair Oshawa, we work hard to establish long-term customers and friends. Our laundry room and kitchen appliance repairs service is highly sought after in the Oshawa community. We have forged a solid reputation for taking great care of our customers. By keeping our prices low and the quality high we have proven to be the best choice for Oshawa home appliance repair.